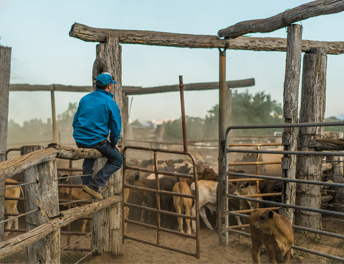 Organic Green Cap is aimed at naturally calming livestock to improve ways of coping with stress during weaning, introduction and exit from feedlots, unfamiliar surrounds of yarding and transportation in both short haul and long haul trips. 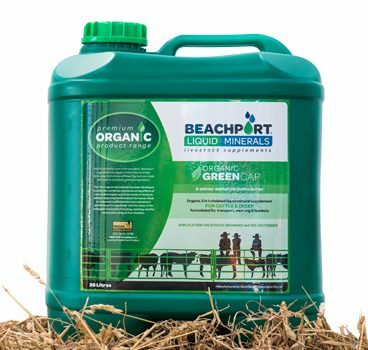 Blended in conjunction with trace elements the Organic Green Cap helps livestock lower stress naturally and utilise the numerous natural occurring effects of electrolytes and amino acids in cattle and sheep. Increases feed conversion and help animals cope with the change of feed by stimulating the rumen. 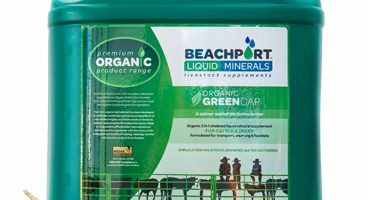 Never pour all the required amount of Beachport Liquid Minerals Organic Green Cap into the water trough in one application. The Aniseed in Organic Green Cap attracts animals but too much may in some cases make it too strong and they won’t drink. Also be aware that if you put it all in at once you take the risk of only the lead getting the product. It takes Organic Green Cap at least 12 hours to get into the system of the animal and to ensure that all stock get an even amount of Organic Green Cap at least another 12 hours on dosed water. NOTE: Don’t give the first dose of Organic Green Cap under 24 hours of trucking, it won’t work. Dose with BLM Dispenser over 3 day period or for a shorter period of time split the dose evenly and refer manual trough application instructions. EXAMPLE: If trucking 9.00 am Monday pour full amount in to tank Friday morning. Pour required dose amount directly into tank at least 3 days before trucking. Make sure tank doesn’t overflow (Organic Green Cap will be lost via overflow) and allow tank to refill normally. 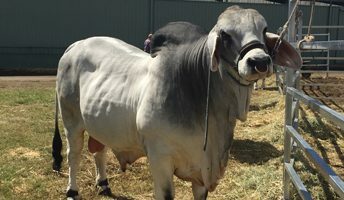 This can be done up to a week before transport. The more spread out the better. EXAMPLE: If the numbers in the yard dictate that you need 9 litres of product, then pour 3ltrs in trough initially (afternoon), followed by a second dose of 3ltrs the next morning, followed by a third dose of 3ltrs later that afternoon. 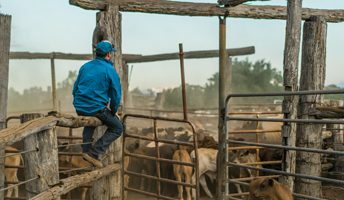 Ensure Cattle are drinking. If treating a trough in a yard prior to trucking or with weaners just after separation and you are using a jug to pour the BLM (Organic Green Cap) into the trough it is critical that you DO NOT overdose the trough. 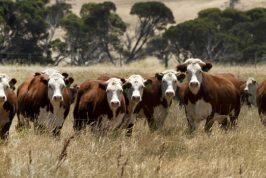 It will have NO negative effect medically but you may risk having too much product available initially and the increased Aniseed smell and taste may reduce their water consumption. Split into at least thirds and pour into trough in the early morning, late evening and early the next morning. EXAMPLE: If trucking at 9.00am Monday, pour the green cap mixture onto hay Friday, Saturday and Sunday with a third of Beachport each day. Ideal time is 1 week to 3 days prior to trucking. To be dosed no less than 24hrs prior to trucking. 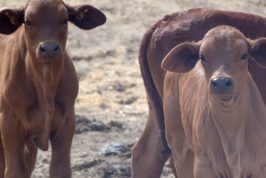 Add to water as soon as entry to yards or weaning paddock. 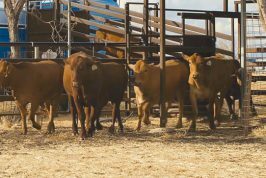 For feedlots add to water as soon as entry to yards. For best results use 1 week to 3 days prior to trucking but can be used NO LESS than 24hrs before transport. For Sheep & Prime lambs dose NO LESS than 24 hrs before transport. For best results use 1 week to 3 days prior to trucking. Every batch of Beachport Liquid Minerals product has an individual analysis by a NATA accredited Laboratory available. The table below is the target analysis for Organic Green Cap. I have put Organic Green Cap into my trough but the stock are not drinking. There may have been to higher concentration of the product poured straight into the trough if not using the BLM Dispenser. If not using the dispenser we recommend to split the dose amount equally over 3 days. What’s the difference between Organic White Cap and Organic Green Cap? Organic Green Cap has more electrolytes (Fulvic Acid) which is the best electrolyte known to man, and also high amino acid level which stimulate the rumen and calms them down. 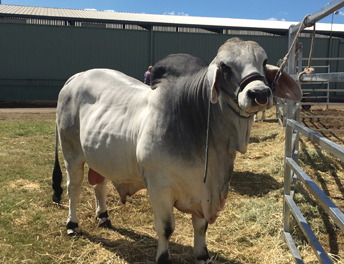 The Organic White Cap has all seven essential trace elements, phosphorus and sulphur, as well as all 10 essential amino acids for feed conversion and production and aids in trace element deficiencies. 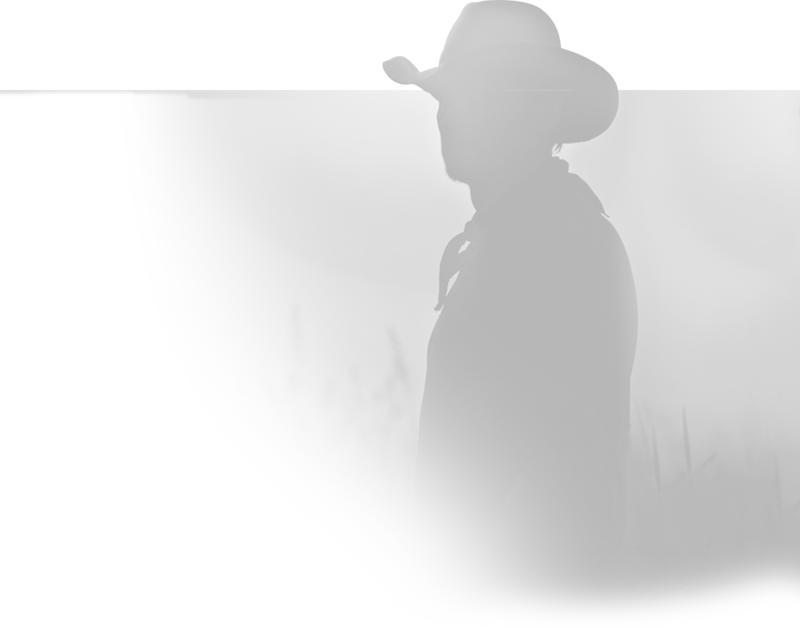 Can I use Organic Green Cap on horses? We recommend our Red Cap supplement for horses as it is specifically designed for their general health and recovery after strenuous exercise. However, the Organic Green Cap can be beneficial for schooling and transporting untrained or stressed horses for a calming effect.